This morning, I visited the Royal Opera House to interview Geoffrey Paterson, at present working there as conductor on the Jette Parker Young Artists Programme. We spoke before rehearsals for The Barber of Seville, on which he is assisting Rory Macdonald. Geoffrey is also hard at work with preparations for the forthcoming Linbury Studio Theatre concert of Boulez (Le marteau sans maître) and Benjamin (Upon Silence) from the Theseus Ensemble, which he founded and whose second concert I reviewed here. I then asked about the George Benjamin piece, Upon Silence, knowing it only by reputation. Geoffrey reminded me that it had originally been written for Fretwork, and then reworked by the composer for modern instruments, though very much with the intention that the original austerity, indeed a good part of the viol sonority, should be maintained; ‘the way he dulls the sound is very much part of the effect. It’s really an incredibly beautiful piece.’ Clearly this piece by a fellow Messiaen pupil will prove an intriguing companion to the main course of Boulez. The conversation turned for a while to Boulez as conductor, since Paterson studied with him at the Lucerne Academy. It was interesting to note how eminently practical Boulez’s advice would be on matters of how to get tricky groups of seven or eleven right, always born of experience, sitting down and talking through how they might be heard, understood, and then fitted back into context. The ear helps of course too. ‘Of course, he seems to have pitch as absolute as possible. Mine has got much better and my relative pitch, which is probably more important, has improved a great deal. But Boulez can simply hear every pitch in a great orchestral chord and tell that the second horn is slightly out of tune, hearing the notes as pitches, where others might hear a chord and then try to work out which part of is simply out.’ I was put in mind of a similar situation when I heard Boulez rehearse Mahler’s Eighth Symphony in Berlin, when, at a climactic point in the first movement, he was somehow able to correct, ever so courteously, a slight infelicity of tuning from one of the clarinets. It was a delight to learn that our conductor was also a great devotee of Strauss. Operatically, he has not yet had much opportunity, though he had played for an extract from Der Rosenkavalier, which we agreed was a much darker work than many recognise. The moment of the Marschallin’s return in the Third Act, and the straightforward but wonderfully apt cadential means with which it is announced was a particular favourite moment. With regard to the work as a whole, ‘just because it is placed in inverted commas doesn’t mean that there is a lot of what is there in Salome and Elektra’. And of course, those works have their inverted commas too. It was even better to discover an ardent fan of the Alpine Symphony, ‘Strauss at his most serious,’ and in some ways sparer, the ‘Ausklang’ less awash with notes than the earlier tone poems. The extraordinary historical accident of late Strauss being composed at the same time as Boulez’s First Piano Sonata, Webern and Bartók already having died, was not without its irony for those who admire those composers so greatly. More generally we discussed the difficulties of a great deal of expression within ‘modernist’ works, the adjective being one of which Paterson is wary, since it can often put people off and should perhaps now be considered more historically. He is, he said, very attracted to complexity that is expressively necessary, to works that often need more than one hearing to reveal their secrets, ‘like my first experience with Le marteau sans maître’; after all, if one has heard everything in a work on a first hearing, there is nowhere left to go. (I thought immediately of a great deal of Shostakovich, but kept my thoughts to myself.) Schoenberg, I suggested, was another case of so much expressivity, more than many audiences still seem able to take, though they often reject his music claiming quite the opposite. Paterson’s criticism of some of Schoenberg’s music was tellingly similar to that of Boulez, namely that the new, serial language sometimes falls back upon old forms. The Theseus Ensemble’s next performance, of Boulez and Benjamin, will take place at 1 p.m., 14 February, in the Linbury Studio Theatre of the Royal Opera House (click here). Further details concerning the ensemble may be found here, and concerning Geoffrey Paterson here. The Kingdom is never likely to approach the popularity of The Dream of Gerontius; its subject matter militates against that – and I think, though dyed-in-the-wool Elgarians may beg to differ, that Newman’s poem inspired Elgar to greater consistent heights. That said, there is magnificent music in the composer’s successor to The Apostles; it is difficult to take issue with Michael Kennedy’s assertion in his all-too-brief programme note that ‘the choral writing is even finer than in the earlier work’. There is, moreover, something wonderfully English, even by Elgar’s standards, to The Kingdom – though never, as in lesser contemporaries or successors, does it descend to the parochial. The way in which the musical language of the first part, ‘The Upper Room’, develops from that of a (very) superior Choral Evensong to something more akin to Parsifal is, I think, impossible to conceive of from another pen – at least, to conceive of coming off. Moreover, the sheer professionalism in terms of orchestration and choral writing is an object lesson to all who would take the time to study Elgar's writing. It struck me with sadness during this exceptional performance from all concerned how unfashionable both the work’s form and its concerns are today. Local choral societies are no longer the backbone of musical Britain that once they were, partly on account of gut-scraping fatwas issued against Handel performance that might violate narrow, bogus notions of ‘authenticity’. An oratorio treating with Pentecost and its aftermath that is neither written by some newly-fashionable minor Baroque composer, nor part of some contemporary ‘let’s drag in as many world music drum beats and dance rhythms “project”,’ seems remote from the interests of many. Even those who might have obvious interest in the subject matter, such as evangelical Christians, tend to reject great or even passable music in favour of sanctimonious imitation pop songs with strummed guitar accompaniment. However, for all his hard-won Establishment credentials, Elgar always remained to a certain extent an outside, so the predicament is not entirely new. If anything would win converts, like Christ’s Apostles, it would be a performance such as this under Sir Mark Elder. The urgency of the opening to the Jerusalem Prelude, impossible without the crack response of the LSO, initiated a dramatic tension that would be maintained when the tempo broadened. It is almost impossible to speak of Elgar’s music without introducing the word ‘nobility’, so I might as well give up the attempt; here was nobility in spades, but with an edge to the performance that marked it of our time as opposed to that of earlier interpreters such as Sir Adrian Boult. Orchestral virtuosity was on show on numerous occasions, none more memorable than the ‘rushing of a mighty wind’. The famed LSO brass section was at its very best, but if the truth be told, there was not a single weak moment so far as the orchestra was concerned. Elder paced all five parts extremely well, with a careful, musical ear for balance, always reciprocated by his musicians, as for instance during the ravishing solo passages of the fourth part. The soloists were very fine too. Susan Gritton was a late substitute for Cheryl Barker, who had succumbed to a chest infection; one would never have guessed. Gritton’s aria, ‘The sun goeth down,’ combined the delicate and ardent to a degree. Sarah Connolly was equally impressive, ever attentive to words and musical line – and, most importantly, their combination. It was perhaps especially apt, given Elgar’s adoration of Wagner in general and Parsifal in particular, that the two male soloists should be the Parsifal and Amfortas from ENO’s forthcoming production. Iain Paterson sounded much more at home as oratorio soloist than as ENO’s miscast Don Giovanni (though that had been arguably the least of that production’s problems); again, the attentive quality of his performance impressed. And given that Stuart Skelton had also fallen victim to a chest infection, his was a highly creditable performance indeed. One felt for him, visibly struggling, but the voice for the most part was there and the emotional integrity certainly was. Fingers should be crossed for a swift recovery, since singing Parsifal in such a condition does not bear thinking about. Perhaps the evening’s greatest star, however, was the London Symphony Chorus. How fortunate we are at the moment in London with respect to choral singing. Only the night before, the London Philharmonic Choir had stolen the show in Das klagende Lied; the LSC proved every inch its equal. It is, let us give thanks, not a competition. The unanimity of attack – and this goes for the orchestra too – was of a level one might expect from an excellent recording, but was here married to the electricity of a first-class live performance. Choruses such ‘O ye priests!’ at the end of the first part sounded utterly glorious. The verve and spirit with which we heard, ‘Lord, behold their threatenings,’ recalled an age in which Handel too might have been sung with such commitment. We have lost a great deal, but not everything. That said, there was much to admire, not least the varied use of vibrato, never dogmatic and clearly well thought out, even if my own taste would be for a slightly higher optimum level. Slightly muted sonorities were perhaps also to a certain extent a product of the work’s tonal frame of reference: E-flat major and its related keys are not the brightest of tonalities on strings. A highlight of the first movement was the sense of exhaustion engendered by the concise development section; all that could be done, now, one felt, was to recapitulate, not that recapitulation is ever merely that in Mozart. The slow movement proved intense, but a little too much like hard work. It was never rushed, though, whereas the minuet was taken surprisingly fast, emerging almost scherzo-like; indeed, its violent streak might have better suited Beethoven. The gentler trio came properly as a contrast, though arguably too great a contrast. Allegro vivace is the finale’s marking. However, I am not sure that its mood, irrespective of speed, really registered as vivace. Again, despite febrile intensity, the overall impression was somewhat effortful. However, there was charm to be heard from a number of Lukas Hagen’s sweet-toned solos. Such seriousness of purpose seemed better suited to Schubert’s Rosamunde Quartet. A note of tragic lyricism was struck immediately, developing alongside and in between a rhetoric of anger, which nevertheless remained integrated into a structural whole. This was not comforting, consoling Schubert, nor should it be. The fragility of the slow movement’s opening was palpable; though relatively swift, it unsettled. I wondered whether one might hear more here in the way of consolation, however illusory, but the Hagens’ view had a consistency, almost Beethovenian, of its own. Whispered confidences and more ardent responses marked the minuet. This was certainly not to be danced to, but then that was never the intention. If clouds lifted in the finale, then sunshine proved far from unalloyed; there were, rightly, shadows and memories aplenty. The players skilfully trod a tightrope between major-mode transformation and haunting from what had gone before. Where the Mozart performance had intrigued and posed questions, the Schubert sounded more of a convincing, indeed wrenching, whole. Quite a programme: as Vladimir Jurowski had commented three nights earlier, these two London Philharmonic concerts were to be taken as a pair, circling around Mahler, and in particular the original version of Das klagende Lied, though a Hungarian connection was perhaps just as strong. A performance of Das klagende Lied, especially in its original version, is of course an event in itself – unlike the manifold unnecessary Mahler performances we are hearing or avoiding over the 2010-11 double-anniversary year. There was, however, also a first half of generous duration to be heard. Ligeti’s Lontano is a masterpiece; so it sounded here, despite an almost inevitable bronchial onslaught. (Cannot these people simply stay at home if they are that ill?) It would be vain to pretend that such thoughtlessness did not detract from the shifting sounds of Ligeti’s large orchestra. Nevertheless, the almost countless statements of the Lux æterna theme, taken at varying speeds, coming together to form his typical yet ever-different cloud- textures, were clearly manifested both individually and collectively – thanks in no small part to such fine playing from the LPO. Colours, temperatures, intensities: call them what you will, they were all to be heard here, in perpetual evolution. The climax before the end was well shaped by Jurowski, likewise the final retreat into another distance, or perhaps the same one. An encore, without a good – or rather bad – part of the audience, would have been most welcome. Anyone interested in Bartók’s music – and how could anyone not be? – will find much of interest in his posthumously published First Violin Concerto, though it remains somewhat less than a masterpiece. (Comparisons may be odious, but consider the Second: one of the great concertos of the twentieth century, or indeed of any other.) It nevertheless received fine advocacy from Barnabás Kelemen, Jurowski, and the LPO. In the first movement, Kelemen proved an ardent, impassioned soloist, whilst Jurowski once again proved expert in shaping the progress to climax. I found Kelemen’s vibrato a little heavy, but that is really a matter of taste and I can understand why it might be thought appropriate to such ‘Hungarian’ music. If the final solo phrase proved a little fallible, that largely reflects pon the high quality of performance heard elsewhere. Technique and unabashed virtuosity were much in evidence in the second movement. Yet the orchestral part was every bit as impressive, a note of Debussy-like fantasy, harps and all, being struck from the very outset. We did not seem so very far from the realm of The Wooden Prince; at times, we verged close, and rightly so, to Strauss. If the musicians could not entirely conceal the somewhat rhapsodic structure, I doubt that anyone could. Kelemen treated the audience to two encores: a scintillating account of the Presto from the Bartók solo sonata, which made one keen to hear him in the complete work, and a fine Sarabande from Bach’s Partita in D minor. The latter evinced a cleaner sound, in no way ‘authenticke’ but alert to the music’s contrapuntal and harmonic requirements. Jurowski amply justified performance of the original version of Das klagende Lied. There is no need to be fundamentalist about such matters; there are gains as well as losses to be heard in the revision born of experience. (Why one might prefer not to hear Waldmärchen, though, I find difficult to understand, even if one were to adopt a hybrid approach.) However, had I to choose, I should hear the original more often than not; its demands may be extravagant, but not for the sake of extravagance, rather at the service of the young Mahler’s extraordinary imagination. The opening horns enchanted: there is no sound that better encapsulates German Romanticism, both bright-eyed and yet somehow already forlorn. Equally enchanting was the woodwind throng that joined them. A magical kingdom was awakening, quite in keeping with the text we were about to hear. Everything from Der Freischütz to Gurrelieder (still, of course, some way into the future), by way of pretty much all of Wagner’s music dramas, is there and was heard to be there. Yet, by the same token, almost every bar sounds a voice that is Mahler’s alone. We hear premonitions of the early symphonies as well as the Wunderhorn songs. What comes across most vividly of all is the vernal freshness, even when, perhaps particularly when, tragedy takes centre stage. The LPO, off-stage band and all, responded in fine spirit. If there were occasions when synchronisation was not absolute, there was nothing to perturb in Jurowski’s marshalling of his forces. Had I a criticism of Jurowski’s direction, it would be that he tended a little much towards the operatic. Yes, Götterdämmerung is there, as it is in Gurrelieder, but Mahler’s story-telling, here as elsewhere, is of a subtly different kind; it is not straightforwardly representative, let alone realist. The music may be more bound to the text than would be necessary in the light of his subsequent experience, but an overarching, quasi-symphonic form benefits from being heard too. I do not wish to exaggerate, for this was far from formless, and the competing demands may ultimately prove irreconcilable. However, I felt that, for instance, the slower passages in the Hochzeitstück dragged a little within the context of the whole, as if dictated by a desire to depict would-be stage action that is better left to the listener’s imagination. On the other hand, the way in which Jurowski drew out thematic links between the first and third movements and their implications, not least the varying treatment of that descending scale, was only to be applauded. Vocally, the star turn was the excellent London Philharmonic Choir, attentive to the text and well-rounded of tone. A mighty noise could be made where necessary, but the softer, subtler woodland descriptions were just as impressive. The soloists seemed oddly selected. They were most likely not helped by being seated behind the orchestra; for some reason, Jurowski also followed this practice in his performance of Korngold’s Das Wunder der Heliane. Yet that was clearly not the only factor, for the voices of solo choir members often resounded more satisfyingly than those of the named soloists. The men conveyed their words decently enough but often sounded dry, likewise Melanie Diener. Christianne Stotijn showed, however, that Lieder-like intimacy was far from incompatible with greater projection. The two boys, Jacob Thorn and Leopold Benedict, were also to be commended, their high notes truly piercing in emotional terms: Cain and Abel indeed. Whatever incidental flaws, then, there may have been to the performance as a whole, and it is well-nigh impossible to conceive of a flawless performance of this work, it proved that, from the outset, Mahler was possessed not only of imagination but of a rare power to engage the listener emotionally. His genius was never in doubt. With this recital, Maurizio Pollini opened a five-concert series at the Royal Festival Hall. Subsequent concerts will feature: the final three Beethoven piano sonatas; the final three from Schubert; a ‘French’ exploration of music by Chopin, Debussy, and Boulez (the second sonata, which Pollini performed so magnificently last year in Berlin; and last but certainly not least, in May, more Chopin, Schumann, and Stockhausen. I cannot help but regret the absence of the Second Viennese School; Pollini has after all recorded the piano works of Schoenberg, Berg, and Webern in versions that may occasionally be equalled but could hardly be surpassed. However, given the riches on offer, it would be ungracious in the extreme to carp further. Everything is welcome; it is a sign of the pianist’s greatness that one wishes there could be more still. Certainly that was my fervent desire at the end of tonight’s recital, the first time I had heard Pollini play Bach in concert. This was not just any Bach, of course, but the first book of the Well-tempered Clavier. As I remarked upon hearing Angela Hewitt perform the same music almost precisely two years ago, every cliché about this ‘Old Testament’ of the piano repertoire is true. None, however, comes close to expressing its greatness; only study and performance can accomplish that. Even the first book, let alone both taken together, seems to encompass everything ; perhaps it does. Yet there is always a danger that in considering a great work of art to be ‘about’ everything, it might seem to become about nothing in particular. One has to make choices, considered choices one would hope, but in the knowledge that any conception will remain partial. Performing the book as a whole is likely to give rise to different choices – different problems and opportunities too – than if one were performing one or more of the Preludes and Fugues in a mixed recital. This goes for the listener as well as the performer – and, one would hope, for the scholar too, if only he might prove brave enough to shun the idiocies of ‘authenticity’. Pollini certainly enabled one to consider the book as a whole. Just as, last year in the same venue, he had presented the complete Chopin Preludes as a conspectus of the tonal universe, impressing upon one, though never pedantically, the enormous debt Chopin owed to Bach, here Pollini returned the compliment and went further. Bach’s music emerged as the centre not only of the tonal universe, every key, major and minor, treated both individually and as part of a total scheme of creation, but also of musical history. No single piece was over characterised in terms of the greater whole; by the same token, none sacrificed its individual qualities for the sake of that whole. Bach and Pollini opened up a myriad of connections; it barely matters which were intended and which were not. The grave stile antico fugues, for instance that in C-sharp minor, paid homage to the great age of polyphony – and perhaps to a conception of history that has Bach as its culmination: the ‘everything leads up to him’ approach. In many ways it does, but it seems equally the case that almost everything comes from him – give or take a Berlioz, and even Debussy admitted that one had to learn how to write a fugue in order not to have to write a fugue. The labyrinthine ways of Romanticism and the Second Viennese School are all present here, and they certainly were in, for instance, the extraordinary Largo fugue in B minor with which the book concludes. From the moment I laid eyes upon it, and then began to learn to play it, Berg above all other composers came to my mind. Pollini may not be performing the Berg Sonata in this series, but I felt satisfied that I had in any case heard here a performance that took in the cumulative power and dramatic integrity of Wozzeck. The Bach of the Passions was here too – at least the Passions as we used to hear them, when they were understood to have subject matter rather than machine patterns. In the G-sharp minor Prelude, one might have thought oneself in a successor to one of the great choruses, whilst its successor fugue cast its chromatic lance far into the future, dissonances relished not in themselves – this is not Debussy – but because of where they are placed and why. Their emancipation may seem imminent but it is not immanent. What did sound immanent, however, were the very spirit of music and of musical exploration. Perhaps Liszt was not the only composer of Faustian music for the piano. If pushed to find fault, I might point to the A-flat major Prelude, which, for all its declamatory quality, might have benefited from a little light and shade. Yet that lack was so unusual that it almost provided variation in itself, a further layer to Bach’s – and Pollini’s – achievement. There were very occasional slips, yet they mattered not at all; if anything, they, along with the pianist's singing, further deepened the profound humanity of the performance, hammering a final nail into the coffin of the always absurd charge of icy perfectionism. I almost resist the temptation to say this, but sadly a report would be quite distorted if I did not mention the distracting antics of a pernicious section of the audience. All of the usual bronchial disturbance was present, but in greater degree than I have suffered for a while. I also had the misfortune to suffer next to me a heavy breather who from time to time would rub with his foot a plastic bag beneath his seat; I cannot imagine that there were not similar cases around the hall. If only it were possible to ignore the coughing and the rest … but when music and performance demand that one concentrate so closely, one simply cannot. Pollini seemed irritated, and began to pre-empt the coughs. To an extent, that added to the cumulative effect of the performance, but performing choices should not have to be based upon lessening selfish behaviour. Nevertheless, as soon as the performance was over, my first thought was how I wished I could hear it again – and, if at all possible, at once. Opening sentence: 'More nonsense is talked about opera than any other single art form.' Is not the publication of such an article a self-fulfilling prophecy concerning such 'nonsense'? Is opera a 'single art form' at all? One might argue that much of the point is its combination of different forms. Second sentence: 'It may be the nature of the form itself, all hysterics and extremes of passion.' How can 'hysterics and extremes of passion' constitue the 'nature' of a 'form'? Even if we let that pass, is does the description really pass muster for most, let alone all, of the repertoire? Is not the writer presenting a caricature, perhaps even an 'hysterical', 'extreme' caricature? The next paragraph broaches Anna Nicole, the new opera by Mark-Anthony Turnage, due to be premiered at Covent Garden next month. In case any readers have been on Mars and have somehow missed the marketing bombardment, it will concern the life of Anna Nicole Smith. '"Shocking," say the opera purists,' we read. '"Needed," retorts the opera house, "if we are to attract new and younger audiences."' Who on earth are these 'purists'? I doubt that anyone would be shocked by the prospect; some may not be interested, but shocked? Did a spokesman for the Royal Opera House actually say what the writer claims? Perhaps, yet our suspicions might just be aroused. At last, a little sense: '"Naughty girls",' we read, 'are indeed the stuff of opera.' So why manufacture this silly controversy, since the 'purists' are presumably aware of works such as Carmen, which the writer has just mentioned? In any case, the (relatively) good work is undone in the next sentence, which opens: 'The work which started it all, Monteverdi's Coronation of Poppea, of 1643, has as its heroine a woman who sleeps and murders her way to the top...'. One can (sort of) grant Monteverdi starting it all; despite the existence of earlier examples in the 'form', it is not unreasonable to consider him to have written the first great operas. However, Poppea is Monteverdi's final opera; even leaving aside those that have been lost, we have two preceding masterpieces, not to mention dramatic madrigals and so forth.
' Alban Berg's unfinished Lulu, first performed in 1938...'. We can all make mistakes, but is it not the job of sub-editors to check facts? Lulu was first performed in its two-act version in 1937, in Zurich. There is then a passage which at best confuses, concerning the end of the work as completed by Friedrich Cerha (or in Berg's own Lulu-Suite), but which the innocent reader would think referred to the two-act version. 'Asked whether he had a view of what theatre should be, Verdi replied "Yes. The theatre should be full." And he was able to fill it, then as now, with operas which combined the most perfect melodies with the most dramatic plots and lots of really big (and expensive) sounds.' Again, whatever one may think of Verdi, does he really deserve so childish a description as that, at which even Classic FM might blanch? A schoolteacher would, I hope, chide such inanity if it came from the pen of a dull five-year old. 'The cost of seats doesn't help, although I have sat in the Covent Garden amphitheatre listening to Placido Domingo sing Simon Boccanegra, with a full orchestra and choir, for less money than I then had to pay for a West End production of Arthur Miller's View From the Bridge with a cast of half-a-dozen, no music and no better seats.' Does the foregoing make any sense? If the latter evening were the more expensive, why should this help explain an alleged fall in the 'pre-eminence' of opera? The cost may well be a problem; if so, what is the relevance of the Miller reference? 'State-subsidised houses have also tried to prove their worth by commissioning new works, of which Anna Nicole is one. If there is a complaint from composers, it shouldn't be a lack of outlets. They now have a far better lot than aspiring film directors.' I do not mean this as a criticism of the Royal Opera House or indeed of any other house, but just how many new works do they present? Does this really present an array of opportunites to composers? Sadly not: perhaps the writer should speak to some 'real-life composers'. I can assure him that they do exist. Moreover, why is 'commissioning new works' presented as if it were some new idea? How does the writer think Mozart's - or Monteverdi's - operas came about? Presumably he knows, in which case his point remains at best obscure. 'Serial music, minimalism and atonality have excited musicians but not the general public, who prefer the melody and directness of musicals. It's not the subject matter so much as the cerebral nature of so many modern works that puts them off.' It had to come; it is of course all Schoenberg's fault, or should that be Philip Glass's? I cannot be bothered to go into the substance, such as it is, of the claim right now, but what a strange assemblage: 'Serial music, minimalism and atonality...'. It suggests, shall we say, a little haziness concerning the meaning of the terms. 'Music can make you feel what you want to feel – pride, pity or patriotism – but opera can also make you sense what you don't want to – the dangerous yearning for a new beginning in Wagner's Parsifal, sympathy for a witch in Handel's Alcina, admiration for a philanderer in Mozart's Don Giovanni.' I am not at all sure what he is getting at here re Parsifal, though fear it may be a stereotypical 'Wagner was a (proto-)Nazi' idiocy. 'Sympathy for a witch' though? Are we back in Miller-land (The Crucible)? Has anyone ever thought this was an apt way of characterising any response ever experienced to Handel's opera or its eponymous sorceress? Moreover, to describe Don Giovanni as a 'philanderer' seems akin to describing Faust as a 'student'; there may be a rather large point or two being missed. The distinction made between feelings engendered by 'music' and those by 'opera' eludes me entirely. Is it really the case that other music cannot 'make you sense what you don't want to,' assuming that the phrase means anything at all? I have had enough: doubtless there would be much more, had I the patience. (I could not summon up the energy, though maybe I should have done, to treat with that ridiculous description, 'elitist'.) Why, though, can we not have someone writing such articles, even articles with manufactured controversies, who knows a little more about the subject matter? Could some such person at least not be asked to comment? We now have to endure footballers and gardeners commenting on Proms performances, whereas no one would think of asking Daniel Barenboim or Salvatore Sciarrino to offer a little half-time football analysis. Perhaps, though, the absurdity of the Culture Industry's cult of 'celebrity' - which in most cases appears to mean 'someone you have never heard of and have no reason whatsoever to have heard of' - is the very point Anna Nicole will make. If so, the 'case of Anna Nicole' will be well worth considering, though it will have nothing to do with 'elitism', nothing to do with an alleged dispute between purists and the Royal Opera House, and nothing to do with an alleged lack of appeal to 'the general public'. This looked an enticing programme even before Vladimir Jurowski, in conversation with the Southbank Centre’s Head of Music, Marshall Marcus, divulged its secrets. It was, Jurowski told us, to be considered as part of a larger programme in conjunction with the London Philharmonic’s Saturday concert (Ligeti’s Lontano, Bartók’s First Violin Concerto, and Mahler’s Das klagende Lied). Anniversary boys Liszt and Mahler would be celebrated and contextualised. One might make too much of that; Jurowski mentioned the extraordinary late works of Liszt, but the Second Piano Concerto is not among them. (Most are for piano solo, in any case.) Likewise, though he lamented the neglect of so much of Liszt’s œuvre, as opposed to Mahler’s, we heard neither a choral work nor a symphonic poem, but a relatively mainstream piece, albeit one I was hearing for the first time in concert. Nevertheless, the sense of Liszt, Mahler, and three Hungarian composers sharing a continuum into which it would not be so very difficult also to fit Zemlinsky, offered much to think about. It was a pity that the planned repeat performances in Budapest had to be cancelled in light of economic circumstances, but at the very least Hungary’s Presidency of the European Union could be celebrated. That conversation took place between the first and second works, since Péter Eötvös’s Shadows (1996) required an unusual seating arrangement, necessitating considerable rearrangement for the Liszt concerto. Shadows, for flute, amplified clarinet, and ensemble or orchestra, here received the first British performance of its orchestral performance. On a first hearing, it did not overstay its welcome, though I am not sure that it proved a revelation either. It seemed well performed, not least by the two soloists, flautist Sue Thomas and clarinettist Nicholas Carpenter. They held centre stage, along with Jurowski, two percussionists and celeste player, Catherine Edwards. Two groups of wind instruments, backs to the audience, acted as ‘shadows’ to the soloists, whilst two groups of strings, sparingly deployed, made up the rear (facing forwards). In three movements, the work opens with dance-music: so far, so typically or stereotypically ‘Hungarian’. Contrast between regularity and irregularity caught the ear. Neo-Bartókian string and percussion sonorities proved attractive in the second part, at least two mobile telephones less so. The arabesque dialogue between flute and clarinet, with which the third movement opens, also brought Bartók, this time his ‘night music’, to mind, the prominent part for celesta doing nothing to dispel – and why should it? – that association. Space and time are clearly preoccupations here, though Boulez and Stockhausen, for instance, would seem to have gone further, earlier. I may well, however, have missed the point. Alexander Markovich joined the orchestra for the Liszt work. This was not to be a flawless performance – there were a few occasions on which soloist and orchestra fell out of sync – but its spirit impressed. The white heat of Sviatoslav Richter’s astounding recording with the equally astounding LSO and Kirill Kondrashin – a Liszt Desert Island disc, especially coupled with the B minor Sonata – may not have been felt, but this was arguably a more exploratory performance, doubtless aided by Jurowski’s conception of the work as more a symphonic poem with piano than a typical concerto. (He referred to its single movement and monothematicism.) The LPO players responded with verve and subtlety – yes, you read that word correctly. They ensured, for instance, that the all-important woodwind opening struck just the right, neo-Mozartian serenading note. To that, Markovich could respond with due delicacy, rapture even, all performers making clear the unorthodox nature of what could so easily resemble a mere virtuoso showpiece. The fluidity of the pianist’s response to the score was especially noteworthy, though all players were careful to ensure that this never descended into formlessness. Virtuosity was present, of course, for instance in Markovich’s thundering octave passages, but always, it seemed, at the music’s service. Sharply profiled rhythmically where necessary, the performance never became hard-driven; indeed, there was always plenty of light and shade. Lower strings impressed with depth of tone in the lead up to the beautiful duet between piano and cello (Kristine Blaumane). Liszt’s chamber music, like Wagner’s, tended to form part of other works, but it is no less chamber music for that. The march transformation, which some puritans have condemned as ‘vulgar’, sounded nothing of the sort; instead, it was dramatically stirring – and, more important, clear in its thematic derivation. Liszt suffers terribly from poor or mediocre performances; he did not here. As a sparkling encore, virtuosic in every sense, Markovich offered a transcription of the ‘Skaters’ Waltz’ from Les patineurs. I assume that it was Liszt’s, but not having heard it before, cannot be sure. Zemlinsky’s Lyric Symphony, which I have long thought close to a masterpiece, formed the second half to the concert. It is not so long since the Royal Festival Hall heard what remains a relative rarity; Esa-Pekka Salonen led a truly outstanding performance from the Philharmonia in March 2009. If ultimately Jurowski’s reading did not quite convince me as Salonen’s had, it was interestingly different and proved in many respects complementary. The opening drum rolls resounded magnificently, but I felt much of the first movement unsettled in the wrong way, Jurowski’s direction rendering the bar lines all too audible, however fine the orchestral contribution in itself. Even in this movement, however, the music settled down, and many instrumental details proved sharply etched, not least the crucial flute lines. (The flute is as important to Rabindranath Tagore’s verse as it is to Das Lied von der Erde, a dangerous comparison, which often obscures as much as it reveals, yet which retains some validity when drawn with care.) Moreover, Jurowski proved alert to the teeming of those lines in combination, a combination that edged towards Schoenberg. Zemlinsky was by no means a merely backward-looking composer in 1923. What of the baritone soloist, Thomas Hampson? Response would largely, I suspect, be a matter of taste. There could be no doubting the intelligence of his verbal response, nor the quality of his diction. (The latter left no one in doubt that he had, in the fifth movement, substituted ‘diesem Zauber’ for ‘deinem Zauber’.) However, for those for whom this is more important, there could be no doubting the vanished lustre of his voice as a voice. The contrast is not quite so simple as that, for sometimes – the final movement was a particularly notable example – the voice had gained a pronounced beat; moreover, pitch could sometimes be more hinted at than centred. Nevertheless, Hampson’s sincerity remained a palpable constant. Melanie Diener, likewise, did not impress in terms of vocal beauty. However, her performance, in tandem with Jurowski’s, hinted at an operatic quality, perhaps frustrated, to Zemlinsky’s inspiration. It is certainly not the only way to perform the work, and sometimes lessened the importance of song and symphony, but at its best, it revealed aspects one might not have suspected. For instance, the fourth movement, ‘Sprich zu mir, Geliebter!’, was taken daringly slowly, yet it soon became apparent that its reimagination almost as an operatic scene could draw attention to the dark malevolence (Die Frau ohne Schatten?) of Zemlinsky’s writing. As for much of the performance, Jurowski highlighted modernistic timbres, where Salonen had emphasised the work’s sometimes overwhelming – and undoubtedly sincere – late-Romanticism. Flutes glanced towards Pierrot lunaire, perhaps even to Le marteau sans maître. (Now there is a thought: Boulez conducts Zemlinsky? Probably not, though he has recently been performing Szymanowski.) The dialogue between solo violin (leader, Pieter Schoeman) and cello (Blaumane again), which introduces the fourth movement, not only granted an opportunity, well taken, for soloists to shine, but was musically captured as a dissonant yet still tonal turning point. There was drama, too, quite in keeping with, indeed necessary to, the operatic conception. The interlude following the young girl’s song (no.2), in which she laments to her mother the passing of the young prince’s carriage and its crushing of her ruby chain, displayed real anger, putting this listener in mind of passages and attitudes from Schoenberg’s Gurrelieder. And yet, for all the tugging away from a symphonic conception, when the voices fell silent, the final movement’s coda proved integrative in properly symphonic fashion: thematic and dramatic concerns now sounded as one. If I did not quite feel convinced that the different approaches always cohered, there was much to admire and much to consider. The concert was recorded for broadcast on BBC Radio 3 on 1 February. Readers may therefore make up their own minds, and are warmly encouraged to do so. This was a fascinating programme: a view of Mozart’s piano music as performance, looking backwards to his re-imagining the Baroque keyboard suite, turning to one of his ‘presents’ as composer-improviser, and looking forward to transcriptions by Busoni and Alkan. Kenneth Hamilton said that he had been able to find no record of any previous performance of Alkan’s transcription of the D minor Piano Concerto, so it may even have been a premiere of at least some variety. That strikes me as unlikely, not least since there is a performance of the end of the first movement (i.e., the lead up to the cadenza, the cadenza itself, and the coda) on YouTube, but who knows? (If you do, I should be grateful for the enlightenment.) The only problem was that, unfortunately, Hamilton’s performances often failed to match the intrinsic interest of the programme. The Suite’s Overture set a pattern for much of what was to come: brusque, too fast – forward-looking premonitions of Beethoven (op.13) counting for nothing. Lacking in neo-Handelian grandeur, it went equally without a Mozartian sense of melodic profusion. None of this music was granted any space to breathe; counterpoint merely sounded garbled. The Allemande was better, less unyielding, though my taste would be for something freer, with greater dynamic contrast: Mozart’s re-imagination seems to call for something more re-imagined by the performer too. By contrast, the ensuing Courante emerged charmless and heavy-handed. The Sarabande fragment tantalised and led immediately into the extraordinary twelve-note anticipations of the Gigue, KV 575, which again, sadly, sounded heavy-handed; it needs a fine player of Bach and Schoenberg. As I can testify from personal experience, it is very difficult indeed to bring off in performance. Its emergence from the Sarabande, moreover, seemed a better idea on paper than in practice, since one can hardly fail to hear its G major tonality as ‘wrong’. Busoni’s transcription of the slow movement from the ninth piano concerto puzzled, or rather Hamilton’s performance did. Surely hyphenated Mozart in particular should be performed in more yielding fashion, yet much of what we heard was not only too fast and unvaried but just plain loud. I could not help but wonder what Daniel Barenboim, a great Mozartian and a fine Busoni advocate, might make of the transcription, but that mental digression offered scant comfort. Later on, some of the deeper orchestral sonorities came off better, but the insensitivity inflicted upon Mozart’s sighing vocal phrases – this is a great aria or it is nothing – had to be heard to be believed. The C minor Fantasia received a considerably preferable performance, especially in its outer sections. Hamilton showed that he was capable of playing with far greater sensitivity, which made one wonder what on earth he had been playing at earlier on. There was even a real sense of improvisatory freedom at the beginning, though greater flexibility within the overarching structure would not have gone amiss. However, some of the central sections reverted to unsmiling brusqueness. As the final piece in the first half, we heard the Variations on ‘Unser dummer Pöbel meint’. Hamilton prefaced them with his own brief piano introduction: it did no harm, but I am not convinced it did any good either. He stated that such variations’ purpose was to entertain; in which case, why so unsmiling, hard-driven a performance? The harshness of the Steinway as heard here would have given untold ammunition to ‘period’ fanatics; we stood worlds away from, say, Barenboim’s recording. For much of the rendition, it felt as though a metronome was ticking – and too fast at that. Then sudden ‘freedom’ sounded arbitrary and mannered. The second half was devoted to the aforementioned Alkan transcription. Like much of what had gone before, the opening orchestral tutti sounded four-square, every bar-line all too audible. As time went on, the first movement displayed a little more light and shade, but I confess that, had I not known, I should have experienced grave difficulty in distinguishing between solo and tutti. There were also a few very obvious slips, more glaring than their occasional counterparts earlier on. Nevertheless, something of a Romantic sensibility was conveyed, at least intermittently. Alkan’s cadenza was probably the most interesting part, though, its Romantic outgrowth into the ‘wrong-key’ Jupiter Symphony passage and much else besides; someone should play this in a performance of the ‘real thing’. (Listen to and watch the YouTube clip above, which sounds considerably clearer than Hamilton’s performance, and offers a score.) The coda subsided rather impressively. Tutti richness replaced woodwind balm in the slow movement: fair enough, for there was from composer and pianist a real sense of re-creation here. The performance, moreover, was much less hard-driven. Whether the plentiful ornamentation were Alkan’s or Hamilton’s I do not know, though I suspect the latter. Following the success of that movement, I was dismayed by the dogged tempo and gritted-teeth, relentless quality with which the finale was despatched. Alkan’s ‘extemporisation’ is wonderfully bizarre though, sounding almost drug-induced. Sadly, the turn to D major proved utterly charmless in performance, lacking any sense of new, heavenly vistas, or even a chink in the wall. The encore, Busoni’s ‘Variations-Studie nach Mozart’ from his Klavierübung, was well chosen but disappointingly played. Hamilton described it as charming: yes, it should be, but not when delivered in so heavy-handed, non- or even anti-vocal a fashion. This is, after all, a transcription of Don Giovanni’s serenade, which Egon Petri would offer as an encore. The great pity is that a performance such as this might well lead listeners to reflect that such re-imaginations are not worth hearing, when nothing could be further from the truth. The Barbican has announced its 2011-12 season; click here for full details. Immediately standing out is a celebration of Beethoven, for which it is always the right time. Many will enthuse about the prospect of a symphony cycle from the Leipzig Gewandhaus Orchestra and Riccardo Chailly; I have only heard Chailly in Beethoven once and found the results irredeemably dull, glaringly contrasted with excellent Brahms in the same concert. Still, I am sure there will no difficulty in attracting an audience. Sir Colin Davis, the LSO, and Mitsuko Uchida continue their survey of the piano concertos; I cannot (yet) bring myself to feel enthusiasm for the accompanying Nielsen symphonies, but perhaps they will prove worth another try. I wish we were hearing the Beethoven symphonies from Davis instead though. The Vienna Philharmonic, the greatest orchestra in the world - at least when it decides to be - appears with Sir Simon Rattle in Brahms, Webern, and Schumann. Other visiting orchestras include a number of concerts from the New York Philharmonic under Alan Gilbert and the Royal Concertgebouw under Mariss Jansons (an all-Strauss programme) and Bernard Haitink (Bruckner's Fifth Symphony). Haitink will also conduct the LSO in two highly attractive programmes: the first of Purcell (yes, you read that correctly), Mozart (with Maria João Pires), and Schubert; the second of Purcell (again), Mozart (again with Pires), and (again) his beloved Bruckner. Both concerts would seem absolute musts to me. Pianists include Evgeny Kissin and Murray Perahia, programmes yet to be announced, and Martha Argerich as concerto soloist, in a work again yet to be announced. Joshua Bell will also visit - again in a programme to be announced. There is much else of interest, even for fellow curmudgeons. A rarity immediately leaping out is Honegger's Jeanne d'Arc au bûcher (LSO/Marin Alsop). Fellow Zemlinsky-lovers and the merely curious will surely welcome a performance of Die Seejungfrau (LSO/Xian Zhang). The latest violinist to turn conductor, Nikolaj Znaider, conducts the LSO for the first time. After this year's - and last's - glut of Mahler, Semyon Bychkov leading the same orchestra in the Third Symphony still sounds promising. Still more enticing is a return from Pierre Boulez, in two programmes: one of Debussy, Szymanowski (with Christian Tetzlaff), and Scriabin's Poem of Ecstasy; the second of Bartók (Znaider as violinist this time) and more Szymanowski (the Third Symphony). I was delighted to see a visit to the Barbican Theatre from Opera North, presenting The Queen of Spades - and there is much more Tchaikovsky to be heard from Valery Gergiev. A mini-'Stravinsky Festival' also augurs well: alas no late Stravinsky, but that in any case might not really be Gergiev's thing. Gergiev will also lead his Mariinsky forces in a concert performance of Parsifal. His Ring seemed to find few if any complimentary voices, though some have spoken well of his Parsifal recording. Who knows...? A far surer bet, I suspect, will be Sir Colin leading the LSO in a concert performance of that echt-Romantic work far too long absent from London stages, Der Freischütz. A must for me at any rate. Simon Keenlyside singing the title-role in Mendelssohn's Elijah should rightly attract a keen audience. Another great oratorio, The Dream of Gerontius, will resound under the direction of the excellent Andris Nelsons. The BBC Symphony Orchestra, rarely heard to best advantage under its present Principal Conductor (from whom, you guessed it, yet more Czech music), welcomes back David Robertson in an intriguing combination of Stravinsky's Symphony of Psalms and Messiaen's Turangalîla-Symphonie. Another conductor who has tended to bring out the best from the orchestra, Oliver Knussen, presents a mouth-watering concert, which will include the world premiere of a work by Alexander Goehr and the British premiere of Niccolò Castiglioni's Concerto for Orchestra. Another British premiere from the orchestra, this time under Martyn Brabbins, will be of Jonathan Harvey's Wagner Dream. Following Bolet's version of the second Petrarch Sonnet setting, here is Dinu Lipatti (audio only). It could almost be a different piece - and in a sense it is. What a touch, and what poetry he elicits both from Liszt's score and from the keyboard! One might have expected Leslie Howard, having accomplished the almost incredible task of recording Liszt’s ‘complete’ piano works, to have wanted to leave the composer alone for a while. Not at all – and given that this recital at the beginning of Liszt’s two-hundredth anniversary year included two world premiere performances, one can understand why. Howard has recorded these and many other newly discovered pieces for Hyperion, on two CDs to form the third (!) volume of his subsequent recorded series, ‘Liszt: New Discoveries’. Such is the exciting state of Liszt studies – testimony in part to the scandalous neglect and condescension with which the composer has met, and in certain quarters continues to meet – that new works, different versions of existing works, transcriptions, and so forth, continue to appear. The new works and transcriptions took up the whole of the second half of this recital and received the more compelling performances. Indeed, the highlight proved to be the Christus transcriptions, which, according to Howard’s typically informative notes, have never been published outside Liszt’s vocal score and ‘seem never to have been performed in concert before now’. On this showing, they certainly should be; they are not mere piano reductions but realisations of the fascinating original music for solo piano. The first of the pieces encompasses the oratorio’s introduction and the shepherds’ Nativity pastorale. In Howard’s hands, it opened in a manner familiar from Liszt’s choral music; flexibility and the possibilities offered by plainsong – ‘Rorate cæli’ – shone through. I suspect that some other pianists, should they be interested, might find greater pianistic ease and expression; climaxes here could harden somewhat, whilst at the same time the rendition at times sounded a little tame. However, the Pastorale benefited from a winning lilt, opening quite enchantingly, perhaps inevitably putting one in mind of Berlioz’s L’enfance du Christ (the ‘Shepherds’ Farewell’ in particular). Form was clearly delineated too, which had not always been the case in the first half. ‘Das Wunder’ is the second piece, the ‘miracle’ (Wunder) being Christ’s calming of the waves. Here, Howard – and of course Liszt – made the original symphonic poem sound thoroughly pianistic, its final calm proving quite beautiful, both pianistically and harmonically. Liszt’s Romancero espagnol was written in Spain during the 1840s, and was intended for publication in 1847; for some reason that never happened, and so, finally the Liszt Society Journal published the work in 2009. The work is in three parts: described here as an ‘Introduction and Fandango with Variations’, an ‘Elaboration of an Unidentified Theme’, and finally the ‘Jota Aragonesa and Coda’. This is no newly-discovered masterpiece, but it is often charming and stands possessed of a mildly Spanish flavour. Liszt’s characteristic big-heartedness shines through in an eminently likeable first part, which Howard projected to good effect. Late Beethoven it may not be, but there is contrapuntal working out to be heard during the second section. Sadly, the final part became somewhat tedious, especially when Italianate prolixity takes over. One would not want to hear the Romancero espagnol that often, but a first public performance is of course an important event. What, then, of the first half? The full tone Howard employed for the opening of the Grosses Konzertsolo was promising, but too often he proved heavy-handed and prosaic. This is not a piece one hears very often, though, so it remained a welcome opportunity to hear the mixture of familiar, presaging the B minor Sonata, and unfamiliar. 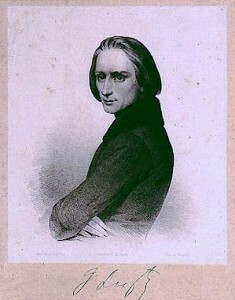 The central section proceeded in unhurried, ruminative fashion: fair enough in its way, but lacking the formal control that might have convinced Liszt sceptics. (Imagine what Maurizio Pollini would sound like in such music!) Moreover, I could not help but miss in the outer sections the effortless technique of Nikolai Lugansky, whom I had heard a few nights previously in three of the Transcendental Studies. The ‘Weinen, Klagen’ Variations opened promisingly too, pushing ahead with clear intent. Tone colour, however, often remained unvaried. This may have been an interpretative decision, allocating one basic ‘colour’ per variation; if so, the sense of relentlessness engendered should have led to reconsideration. What might work on the organ does not necessarily transfer well to the piano. The conclusion proved seriously disappointing, Bach’s chorale (‘Was Gott tut, das its wohlgetan!’) seemingly appearing from nowhere, the final peroration strangely abrupt and anything but a crowning glory. The Sarabande and Chaconne on Themes from Handel’s ‘Almira’ fared better. It sounded recognisably ‘late’, not least in the prevailing harmonic darkness. (And this alone should give pause for thought: how inquisitive was Liszt in 1879 to be basing an original composition on any Handel opera, let alone Almira?) Much of Howard’s reading was dignified, beautiful even, though there were curiously halting moments too. What, ultimately, he seems to lack is charisma – that and truly transcendental technique, such as one hears from the great Liszt pianists, who of course confine themselves to far smaller repertoires. One cannot but be grateful for such service rendered to the noble Lisztian cause, yet the results, especially in better-known repertoire, remain mixed. We heard a great deal of Chopin in 2010, his bicentenary, but Chopin is for every year – and for almost every pianist. Nikolai Lugansky did not always scale the heights of the most distinguished offerings from last year, but there was much to interest in the first half of this recital. The two Nocturnes, placed first and penultimate, shared many of the same virtues, notably a fine marriage between clarity and dreaminess. The subtlety of voicing in Lugansky’s left-hand ‘accompaniment’ to the F major Nocturnes was most striking too. Following that piece, we heard the F minor Fantasia. I confess that I find it hard to consider the piece one of Chopin’s most compelling when taken as a whole but it certainly has its moments. In Lugansky’s hands, one was well aware of its sectional structure, but that arguably goes with the territory. He certainly characterised the sections strongly, opening with charm yet possessed of considerable cumulative power. Nobility was allied to a beautiful legato touch, and to fullness of tone where required. The final bars were spellbinding. Then the C-sharp minor Prelude struck – or rather Lugansky did – an ideal balance between classical poise and Romantic sensibility: clarity without sounding cold. One could say much the same about much of the scherzo, though other sections were boldly rhetorical, and it certainly never sounded Classical in form. It was interesting at times to hear the incipient – arguably more than that – musico-dramatic side to Chopin: there were occasions when time almost but never quite stopped. In many ways, this was an impressive account, but I was not entirely convinced that it cohered. Finally, came a more ‘traditional’ sounding Polonaise, op.53: more rhythmically robust, boasting formidable cannon-fire, and yet flexible where the music demanded or suggested that. Lugansky opened the second half with Brahms’s op.118 pieces. Again, there was much to admire here, but there was equally a nagging doubt that Brahms was not in every respect quite Lugansky’s thing. The opening Intermezzo set alarm bells ringing: in its brightness of tone, it simply did not sound dark enough for Brahms. Doubtless that is to some extent a personal judgement, but the tone quality sounded no different from Lugansky’s Chopin. The second, A major Intermezzo however, sounded serene, albeit with Brahms’s undercurrents properly telling, in no small measure thanks to Lugansky’s command of voice-leading and those inimitable cross-rhythms. Brahms’s fire of old sounded, yet aptly sounded of old, in the G minor Ballade, but again I missed the composer’s mahogany signature. Hints of strangeness in the fourth piece, the F minor Intermezzo, were most welcome: here we heard the ‘lateness’ of late Brahms, the proximity to the Second Viennese School, though the climax emerged a little congested. The outer sections of the F major Romanze sounded a similar note of serenity to those of the A major Intermezzo but the inner section seemed to skate over conflicts beneath the surface; Lugansky exhibited, however, a wonderful legato touch upon the return of the opening material. There was an apt sense of pervading quiet alienation to the final Intermezzo, though I wondered whether it were perhaps a little too distended. I had no reservations whatsoever concerning the Liszt performances. First, Lugansky played the delightful Sposalizio. Here, by contrast with Brahms, the tone colour immediately and consistently sounded ‘right’. Lyrical phrasing matched and heightened a fine sense of structure. Climaxes were well shaped, likewise subsiding. More than once, I was reminded of how much Debussy owed Liszt, not least since there are passages that sound strikingly close to the Frenchman’s First Arabesque. Finally, we heard the three last Transcendental Studies, in reverse order. Technique was not an issue in the sense that so complete was the pianist’s command that he could put it to purely expressive means; nevertheless, from the opening of Chasse-neige, one could hardly fail to be impressed by such command as well as by the musicality of his response. Liszt the harmonic explorer and visionary was announced in Harmonies du soir. The F minor study showed, as indeed had its predecessors, that Lugansky fully had the measure of Liszt’s grand scale and grand style, without the slightest hint of posturing. Here was undeniably magnificent pianism. By and large, this was a programme designed to play to the strengths of ‘Britain’s Biggest Orchestra’. From the opening bars of Prokofiev’s Scythian Suite, one could not but be impressed by the sheer volume produced by the National Youth Orchestra’s, but also by the range of orchestral colour on offer, closely allied to the busy nature of Prokofiev’s writing. For all the ‘barbarism’, there was plenty of Prokofiev’s trademark bitter-sweet lyricism to be heard too, as well as the many (too many?) echoes of The Rite of Spring. Kristjan Järvi seemed in his element; I especially enjoyed, if that be the right word, the slightly nauseating sway he brought to later sections of the first movement. The second packed quite a punch, the NYO’s unanimity of ensemble impressive indeed, whilst the third movement’s impressions of night drew us into a fantastical sound-world that looks forward to The Love for Three Oranges, always underpinned by a properly inexorable tread. Once again, sheer volume characterised the finale’s peroration: a thrilling conclusion. Tai Murray joined the orchestra for Berg’s Violin Concerto. For the most part, she impressed, her intonation generally well centred, though there were occasions when focus was lost. This proved in general a Romantic account: nothing wrong with that, except that I missed some of the bite through the warmly luxuriant glow in which Järvi bathed the score. Dance rhythms, however, were often well conveyed by soloist and orchestra, especially during the first movement. Where the performance disappointed, however, was in the chorale, for the most part beautifully played by the NYO’s woodwind, yet in an unduly laboured fashion, presumably at Järvi’s instigation. The entire second part was somewhat lacking in direction. Perhaps, in a rather long programme, one could have done without this concerto. The second concertante work fared much better, Liszt’s striking Totentanz, with Stewart Goodyear as soloist. Järvi reduced the number of strings; I am not entirely sure why, but whether this were related or no, there did seem to be a greater sense of focus in a well-disciplined account. Throughout there was a keen sense of rhythm, dispelling any suspicions of the rhapsodic in what is actually a tightly structured set of transformative variations. Goodyear’s technique was clearly up to the task, Liszt’s outrageous glissandi wonderfully impressive. In the third variation, so vivid was the performance that one could almost see a horseman of the apocalypse, whilst the delicate passages of the fourth and the pyrotechnics of the fifth proved equally well turned. The orchestra had its moments to shine too, not least the splendid horn calls and Luke O’Toole’s flute solo during the sixth variation – and last but not least, Liszt’s beloved triangle. Finally came Janáček’s Sinfonietta. The opening brass and percussion proved a match for those in any professional orchestra, with a splendid sense of the outdoors to boot. As time went on, however, Järvi’s approach began to sound a little bandmaster-like, similarly in the hard-driven second movement, where one missed the charm of a conductor such as Rafael Kubelík. That said, the string heft and beautiful woodwind playing provided considerable compensation, likewise the warmly Romantic tone lavished on much of the third movement. Its successor was taken very fast, losing its defiant grandeur. However, in the finale, there was again sheer joy to be had in the NYO’s fullness of sound, quite magnificent. It was just that, in this piece at least, the orchestra proved superior to its conductor. Whether Shakespearean or pertaining to the Epiphany itself, Mozart on Twelfth Night seems equally apt. Some grumbled about over-exposure in 2006. There can, however, be no such thing as over-exposure for Mozart, unless – and this is a big ‘unless’ – the performances should fall short of the mark, as most, sadly, do. No conductor, then, could have been more suited to the task than that great Mozartian, Sir Colin Davis, scheduled to conduct this early instalment in Kings Place’s year-long ‘Mozart Unwrapped’ season. Unfortunately, Sir Colin fell ill, being replaced at short notice by the Aurora Orchestra’s founder and Principal Conductor, Nicholas Collon. His conducting of Gluck’s Alceste for the Chelsea Opera Group augured well, but Mozart presents a stiffer challenge even than his much-misunderstood operatic predecessor and contemporary. Collon also proved an attentive and lively ‘accompanist’ in the two arias. The orchestra shone again in both, Thomas Barber’s obbligato oboe proving the crowning though far from the only glory of ‘Vorrei spiegarvi, oh Dio!’ Pizzicato strings also delighted. ‘Nehmt meinen Dank, ihr holden Gönner!’ emerged on the fast side, but convincingly so, since Collon always permitted the music to breathe. The Aurora Orchestra’s woodwind again clearly enjoyed their spell in the Mozartian sun. Less impressive, I am afraid, was the soprano soloist, Fflur Wyn. Her diction was good, especially in the German aria, but the persistently tremulant quality to her tone production was hard to take, even in relatively short doses, especially when married to an all-too-bright chirpiness. The evening’s other soloist, violinist Thomas Gould (also leader of the Aurora Orchestra) was far more impressive. Silvery, yet sweet-toned, his delivery of the solo line beguiled from the first entry, a very few intonational slips in the first movement notwithstanding. Crucially, he ensured, in a notably unhurried account, that ‘lively’ was not taken, fallaciously, to be interchangeable with ‘hard-driven’. Orchestral articulation in the opening bars of the slow movement was a little studied; Davis would doubtless have imparted a greater sense of overall line. Nevertheless, once soloist and orchestra sang together, a cantabile line was very much to be heard. Moreover, the minor-mode passages hinted at, yet never exaggerated, a truly Mozartian note of ineffable sadness. The finale opened graciously, eschewing the all-too-common easy route of ‘effects’, whilst imparting a nice lilt to the Scotch snaps in solo and orchestra. The Turkish music was characterful but never grotesque; indeed, it was here that Collon really seemed to come into his own, conveying a winningly operatic tendency. A concerto such as this is better than it can ever be played, far more difficult than any crowd-pleasing empty virtuosity; these players emerged most creditably in what was overall the best performance of the evening. The final work on the programme was the Linz Symphony. One would be very likely to hear more mannered performances today, but Collon’s account was not entirely free of such tendencies, perhaps especially during the first movement. ‘Rhetoric’ is often pointed to by members of the ‘authenticke’ brigade as attempted justification for an inability to phrase; such was not the case here. Nevertheless, a greater sense of overall line would often have been welcome, likewise greater avoidance of a sense of the four-square, bar-lines sometimes proving a little too audible. (Consider the deceptive, that is to say hard-won, lyrical ease displayed by conductors such as Davis, Böhm, Bernstein, or indeed Klemperer.) There was often, though by no means always, a harshness to be heard that has little, or rather no, place in Mozart. Trumpets and drums in C major can sing more readily than this. There was also an unwelcome edge at times to the violin sound. Predictably perhaps, the slow movement did not linger, but the drawbacks of its predecessor were largely banished in favour of a beguiling sense of the outdoor serenade. There was also a straightforwardness to the path pursued, to which one could readily imagine Sir Colin – or Klemperer – responding, that path being audibly founded upon a sure sense of Mozart’s harmonic progression. Repeats made this a lengthy traversal, but here at least, there are far worse things to endure than ‘heavenly lengths’; indeed Schubert, perhaps even Bruckner, came to mind on occasion. A vigorous minuet was followed – a pity, this – by a somewhat fussy trio, but simplicity is an extraordinarily difficult thing to achieve. Vigour returned in the finale, in a largely convincing account that proved alive yet also possessed of necessary breadth. It sounded more like a true finale than often hears in more throwaway performances. Taking the second repeat seemed a mistake, however, since it very much came across as yet another repeat. Nevertheless, if wanting to hear Mozart’s music one more time be a failing, it is perfectly understandable. The Wigmore Hall looked packed for this opening morning concert of 2011, with a considerable queue for returns as I arrived. Schubert’s 1820 C minor quartet movement is an oft-encountered friend on such programmes, perhaps at least as much on account of its single movement, overture-like status as anything else. Here the Szymanowski Quartet offered an unusually febrile reading. Though the second subject sounded as radiant as ever in its lyricism, the tense quality imparted to some of the other material sounded closer to Bartók, or perhaps to Szymanowski, than to Schubert as we generally know him. At the other end of the programme stood Beethoven’s G major quartet, op.18 no.2. The first movement received a cultivated account, warmly characterised. If a little on the fast side, it was generally permitted space to breathe. The spirit of Haydn was quite aptly a guiding presence. Elegance proved the hallmark of the slow movement, Andrej Bielow’s first violin singing especially sweetly; the central Allegro section provided vivid, genuinely exciting contrast. The way in which the players tossed to and fro the opening theme of the scherzo could hardly fail to put a smile on the face, that thematic material remaining a guiding thread throughout Beethoven’s diversions. Despite some strange, unusually persistent Ivesian interference – a hearing aid? – the helter-skelter finale, full of life, again brought Haydn very much to mind. Perhaps unsurprisingly, though, it was Szymanowski’s 1927 second string quartet which received the most individual, compelling performance. The composer’s mystical, perfumed world, so redolent of his opera King Roger, was announced in the very opening bar, and never left us – or rather, we never left it. This was clearly music that the quartet which bears Szymanowski’s name relishes and has internalised. The first movement presented a seductive outpouring of sinuous melodies, far more tightly organised than one might initially suspect. A sharp rhythmic profile was applied to the Tatra-inspired music of the second movement, without driving too hard. Transmuted dance rhythms sang, almost as if without intermediaries – until, that is, one remembered how they had been transmuted. Bartók was far from the only composer to weave such magic. The cumulative entries of the finale were well handled throughout, reminiscent of a slow thaw, blossoming even; the rhythmic freedom with which the Szymanowski players were able to invest their performance was never arbitrary, but clearly born of immersion in the composer’s idiom. Why, o why, do we not hear this music more often?